Microsoft is testing a big update for Store on Windows 10. 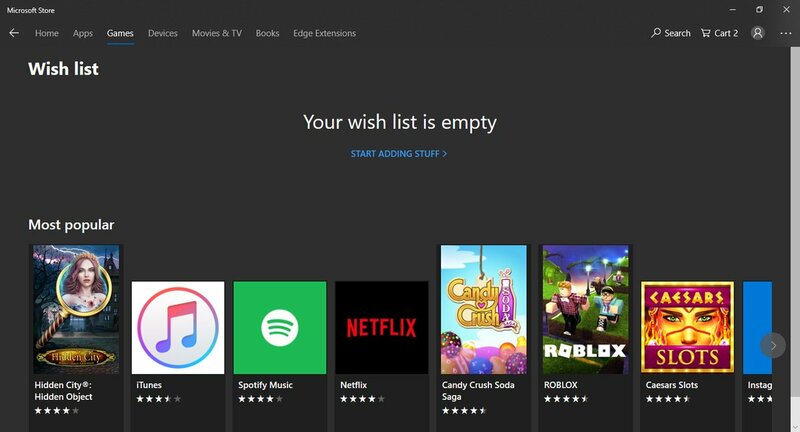 The future updates will reportedly bring Wish List and other changes to the Microsoft Store. 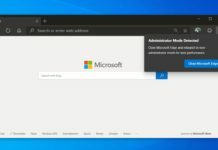 The reported changelog includes new features such as a Wish List page, ability to install apps remotely, improved and organized homepage depending on window size, and more. The Microsoft Store update is rolling out to select users and it appears to be A/B testing. It’s likely that the features will be rolled out to the general public soon. 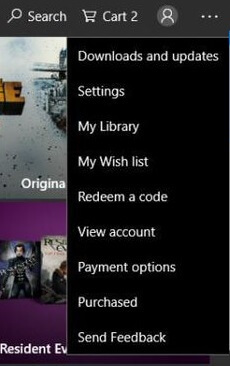 As we mentioned, this update brings wish list page to Microsoft Store. The Wish List is a handy tool to help you keep track of all the stuff you want from Microsoft Store. Apps, games, hardware and other products can all be added to your Wish list. It appears that there is no way to share your list with friends and family just yet. You will be able to access the Wish List page from the three dots menu, and adding and removing items is easy. As noted, you’ll find the Wishlist icon in the menu on Microsoft Store. Microsoft is also revamping the navigation panel, you will find the sub-categories on the header of the Store itself. Next up is support for remote app installs. Microsoft recently added a new feature called “Install on my devices” to the web version of the Store, and the company is bringing the same feature to the App Store on Windows 10 devices. “Install on my devices” allows you to remotely install apps on your Windows 10 devices under same Microsoft account. Another noticeable change is that the search bar will not be shown by default. You can only access it by clicking on the magnifying glass on the menu. 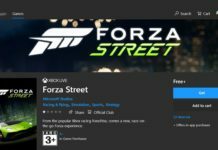 Microsoft recently released a new update for Store that introduced some UI changes for everyone, and the update brought several bug fixes and improvements to the Store as well. Microsoft remains committed to the app store on Windows 10, and the company at the annual Build 2018 developer conference announced that they will be giving the developers up to 95 percent in revenue from the total earnings.